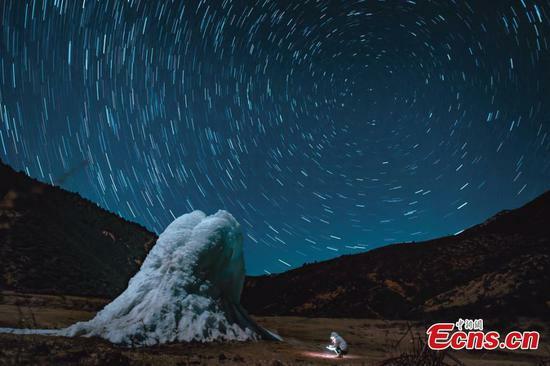 Stars in the night sky over the Ganden Sumtseling Monastery, the largest Tibetan Buddhist temple in Yunnan Province. 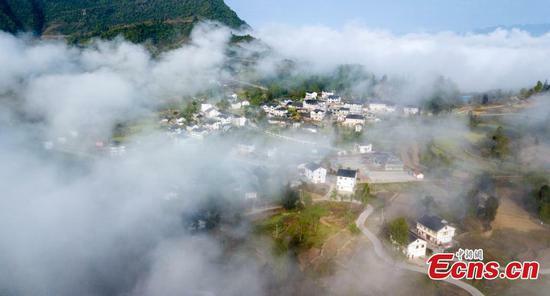 Clouds drape themselves over Xianjin Village in Wuchuan Gelao and Miao Autonomous County, Southwest China's Guizhou Province, April 17, 2019. The village, which is surrounded by lush mountains, appears particularly beautiful when viewed from above. 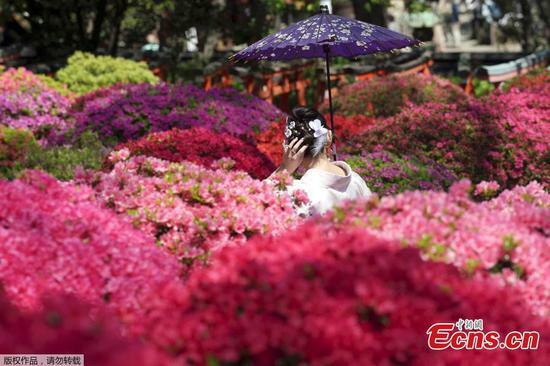 Over 3,000 flowers and 100 varieties of Azalea (a genus of Rhododendron) that bloom from early April until early May. 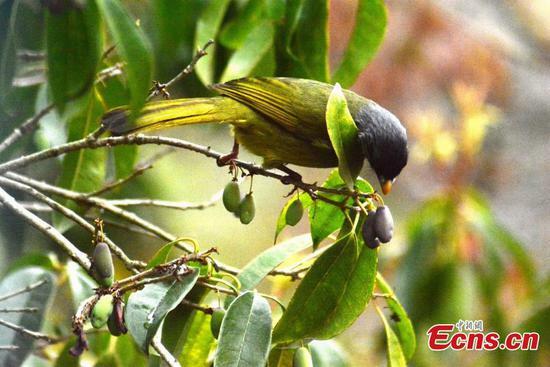 Birds standing on a branch searches for food on the Huangshan Mountain, East China's Anhui Province, April 14, 2019. 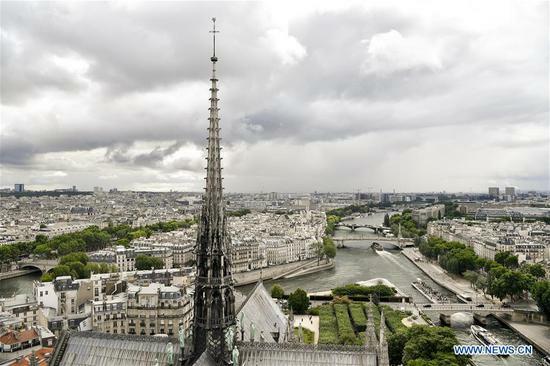 The devastating fire at Notre Dame Cathedral in central Paris has been put out after burning for 15 hours, local media reported on April 16, 2019. In early evening on April 15, a fire broke out in the famed cathedral. 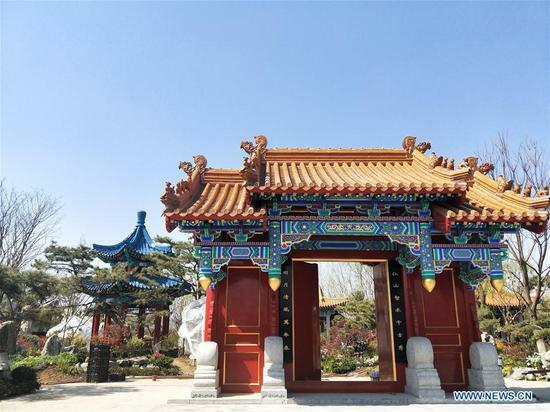 Photo taken with a mobile phone shows a scene on the site for the upcoming 2019 Beijing International Horticultural Exhibition in Yanqing District of Beijing, capital of China, April 15, 2019. The giant panda is an international conservation darling and a leading domestic tourist attraction. 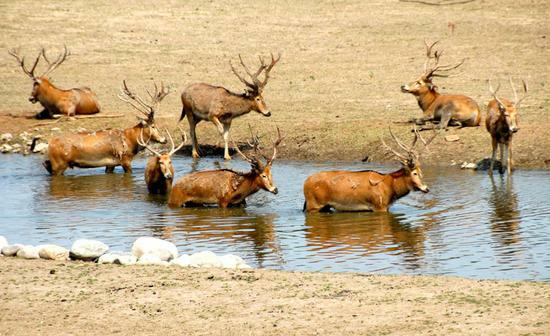 But the country is home to many other intriguing species that travelers can encounter if they know where to go. 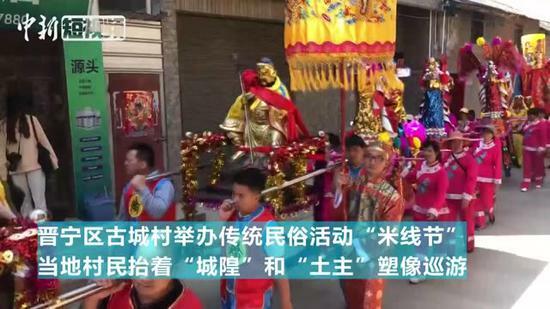 Clouds surround Mount Sanqing in Jiangxi Province. 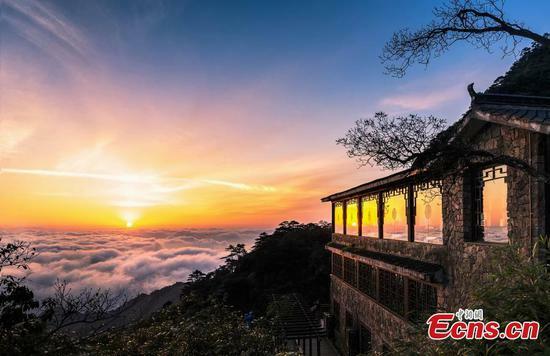 Mount Sanqing National Park is a UNESCO world heritage site, known for its exceptional scenic quality, marked by a concentration of fantastically shaped pillars and peaks. 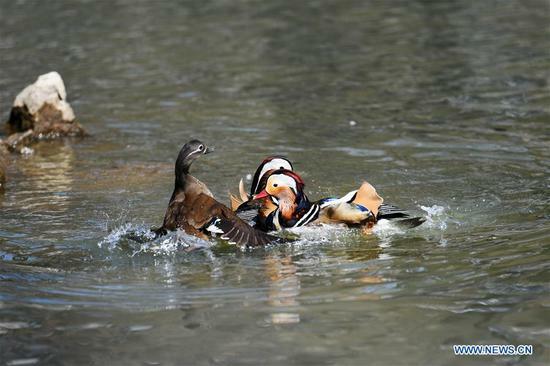 Photo taken on April 15, 2019 shows mandarin ducks at Zhaolin Park in Harbin, northeast China's Heilongjiang Province. 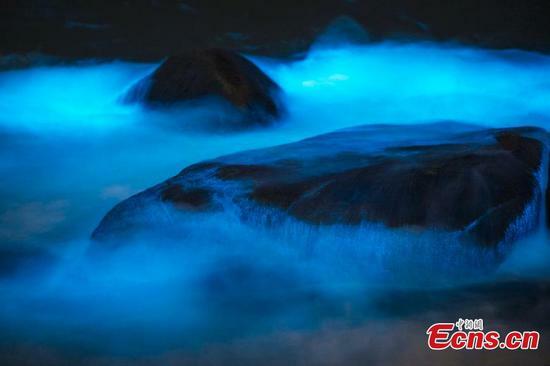 Image taken on April 14, 2019 shows a striking blue algae bloom near Changle Airport in Fuzhou City, Fujian Province. The fluorescent blue glow is natural, powered by a bloom of Noctiluca scintillans, commonly known as "Sea Sparkle".